Deposit old notes of Rs 500 and 1000 in banks or post offices between November 10 and December 30, 2016. Those who are unable to, can exchange notes till March 31, 2017 at specified RBI offices after furnishing proper declaration. There will be an initial limit of Rs 10,000 per day and Rs 20,000 per week on withdrawal of money. This limit is to be increased soon. Exchange of old notes for cash upto a limit of Rs 4000 possible at any bank or post office by producing valid ID proof. 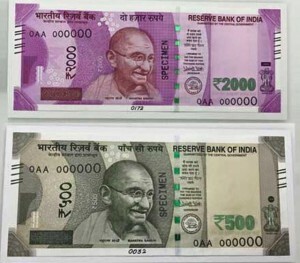 Rs 500, Rs 1000 notes will be accepted at hospitals, drug stores till November 12. Arrangements have been made at airports so that travellers entering/leaving the country are not inconvenienced. The notes can also be used at designated fuelling stations till November 12. Petrol pumps and retail outlets will have to keep every single entry of cash transaction with Rs 500 and 1000 notes till November 11. ATMs will not function on November 09 and at some places on November 10 as well. No restriction on non-cash payments including transactions by cheques, demand drafts, electronic fund transfers, debit and credit cards. Copyright © 2019 | あちゃなび All Rights Reserved.